Telangana CM K Chandrasekhar Rao and TRS Working President KT Rama Rao have been openly opposing 'Andhra News in Telangana Newspapers'. TRS Supremo has even passed an ultimatum that Andhra News can't appear in the main edition. In the recent Assembly Polls, Journalist Kanthi got elected as MLA on TRS Ticket. 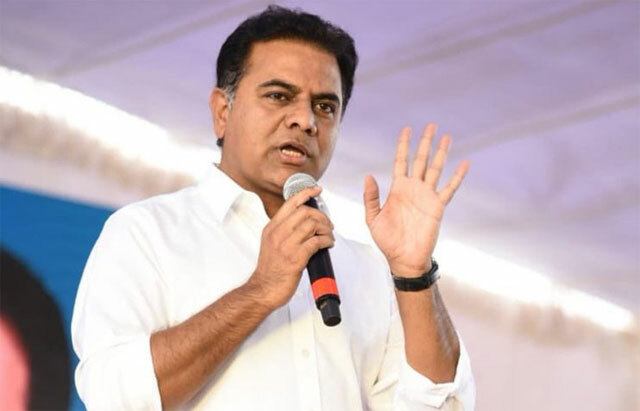 KTR made few comments on Journalism-Andhra-Telangana while gracing the felicitation ceremony of the newly elected MLA. 'When I was in Delhi, I had seen an Andhra Edition in Telugu Newspaper but can't find even a single news related to Telangana. Then, Why should there be Andhra News in Telangana Edition?,' he questioned. Not to ignore the fact that Telugu Media mostly covers Telangana News why because headquarters of most of them have been in Hyderabad itself. The priorities keep changing when it comes to local editions. In Hyderabad edition, Seemandhra Interests cannot be ignored. It's an open secret that few Media Houses have been working as per the directions of political parties. Even TRS have it's own news channel and paper. Then, How could KTR generalise while making a certain statement? It would have been better had if he pointed out the name any particular Newspaper which isn't offering due importance to Telangana.